Street photography is one of the most common variations in the world of photography. You will most probably see street photographs in various projects in the portfolio of a usual photographer either a professional or just a hobbyist. Likewise, taking human portraits is also one of the most common subjects in photography. However, one amazing photographer based in Singapore have come up with the idea of using his love of street photography in capturing portraits of strangers on their most natural state. 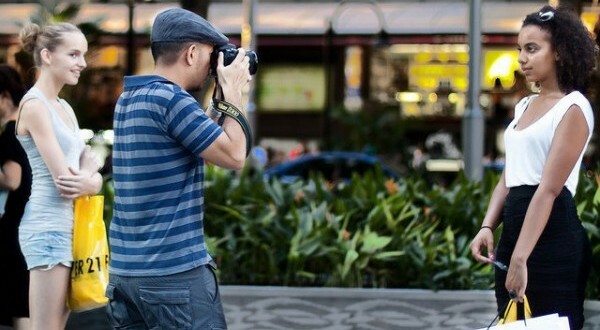 Danny Santos II, a graphic designer and a freelance photographer started taking pictures of strangers few years ago in the streets of Singapore every weekend. His series called “Portraits of Strangers” wherein he took more than a hundred photographs of strangers had gone viral because of it’s unique concept. Aside from having fun in the process, Danny’s goal is to convey the overall image of the beauty and natural energy of Orchard Road through the different characters found in this busy street of Singapore. Check out Danny’s Flickr page for the entire collection of the portraits and his website for more info about his amazing projects.